Her station wagon was filled with children and camping gear. Not tents and sleeping bags, but the stuff we would need to live a week at church camp. Our laughs and giggles hung in the air as we loaded. For those of us who had attended summer church camp in past years, we knew what fun lay ahead. What makes a school teacher want to spend summers hauling children to camp? Sister Mara Larche was one of those teachers. Travel time to Camp Pollock was 2+ hours. Midway was our ice cream stop. Long before Burger Barn made Olla, Louisiana famous - and became the must stop for campers - Girod’s was there. Sis. Larche always stopped to buy us an ice cream cone. Does ice cream ever taste better than summertime, no air conditioning, and friends headed to camp together? It was at church camp that I first gave my life to Jesus Christ. I had been to church since birth, but I actually began a personal relationship with Him at Camp Pollock. Camp changed my life. I could write forever on my fond memories. That was back in the day when we slept in open-air cabins (we sweltered at bedtime and were shivering by daylight), showered in bath houses that usually had a frog or two in the shower stall with you, attended service in an open-air sanctuary, and swam with only girls – no boys allowed. Did Sis. Larche realize her impact? Did she know that one day I would honor her for her commitment to get a bunch of kids to camp? Oh, did she realize my special memories of camp would plant a seed that would make me ensure my daughter and her friends attended summer camp at Camp Pollock? 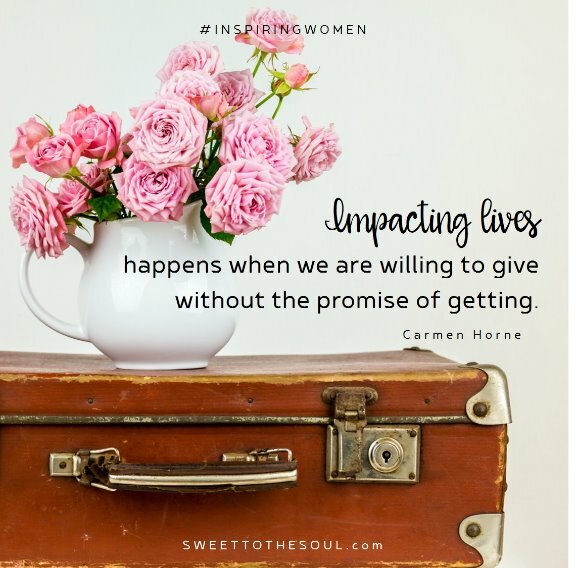 Impacting lives happens when we are willing to give without the promise of getting. Sis. Larche never married and had no biological children, but she had a quiver full of spiritual kids. Her investment into us has made a difference generation after generation. A hostess for countless wedding and baby showers at church (including mine), a Sunday School teacher, and helping out in Bible School is how I remember her. I once heard that she bought a sewing machine for a woman in our community because she needed it to earn an income and hers had stopped working. Sis. Larche devoted her life to people, ministry. She was honored as Louisiana Teacher of the Year and was an ordained minister and pastored several churches. She headed up making a quilt for me and Jack. I still have it and use it regularly. I remember her with fondness and love. She was a woman of God. Her example, her prayers, her faithfulness, her sweet smile. She was an example for all Christians to go by. She was my husband’s aunt, his mother’s twin sister. She lived to serve the Lord by loving and serving others. She never married or had her own children, but always loved working with young people. She loved to teach and preach. She loved the long hours of preparation, reading, and studying her Bible and books. She was loved by many people from all walks of life. Yes, she loved to quilt and garden in her younger days. Thanks for the memories. 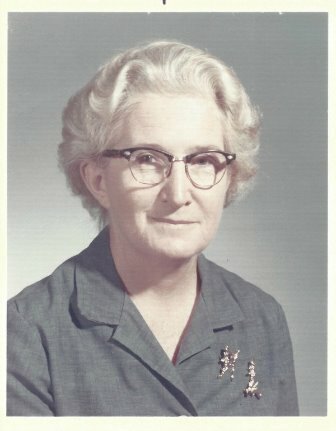 She was a great teacher for church and school. If a child didn’t get a gift off the Christmas tree at church, she always had one to give them. Mara Larche taught by example. Oh, she taught with books, and papers, and pencils, and chalkboards, but mostly by her life well lived. Thank you Lord for Sister Larche. Thank you for godly women who make the difference in the lives of children. Help us to remember Your love for little ones when our time seems as short as our patience. Open our eyes to those around us that need our love and influence. In the name of Jesus, amen. 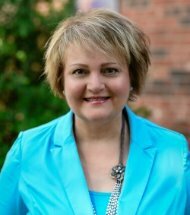 ​Carmen Horne serves women as a Board Certified Advanced Christian Life Coach. She is passionate about helping women learn to change their perspective on the unexpected. She is a contributing writer for Sweet to the Soul Ministries and Life Letter Café. Carmen has been published in 101 Secrets to a Happy Marriage, Thomas Nelson Publishers, The Message magazine, Just Between Us magazine, and several online websites. She is a wife and mom who loves nibbling dark chocolate and sitting on the beach. LOVE having you as a Godly woman in my life! Love you - this is such a beautiful post! What wonderful memories! 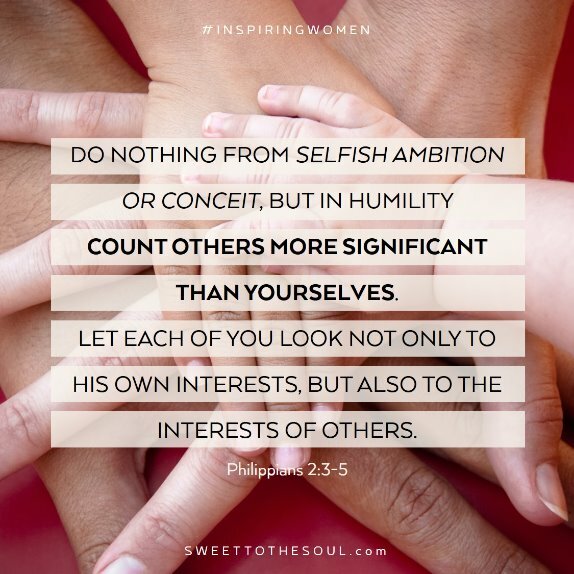 And such a wonderful, Godly woman of influence - like you are sweet friend!